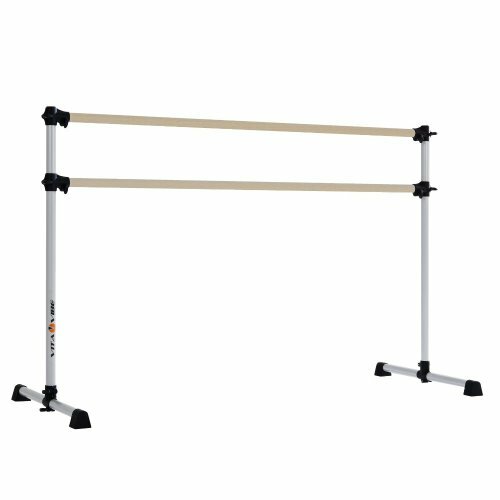 The BD60-W is a freestanding portable double bar ballet barre/stretch bar. It is 5 foot wide with an adjustable height of up to 46". The sanded smooth, finish ready hardwood ash double cross-bars have a 1-1/2" diameter, which is appropriate for dancers of all ages. It also features a durable aluminum frame with powdercoated silver finish and non-skid rubber feet that pivot flat for easy storage. This barre is extremely sturdy, light weight and portable. Great for both home and studio use. 100% satisfaction guarantee. If you have any questions about this product by Vita Vibe, contact us by completing and submitting the form below. If you are looking for a specif part number, please include it with your message.